Everything in life has its ups and downs. You work hard, learn from your mistakes and, every once in a while, make a good score. 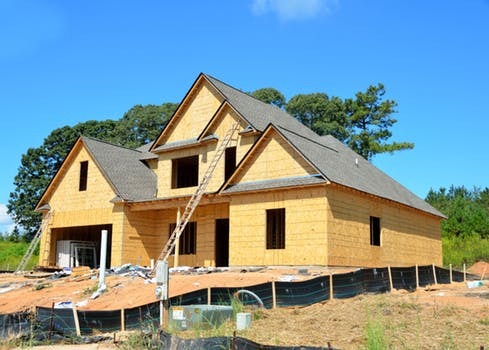 After more than twenty years of investing in different types of residential properties, from condos to single-family homes and residential income properties to mobile home lots, you develop a good idea of the risks and rewards of investing in real property. There are various benefits to investing in real estate, including leverage, positive cash flow, price appreciation, tax treatment, capital gains deferment and pride of ownership. However, investing in properties also has its perils such as possible negative cash flow, loss of investment, damaged credit and even lawsuits. In part I below we will cover four general observations made after more than two decades of real estate investing. These observations revolve around timing, location, property management and due diligence. In part II, we will look at leverage, cash flow, price appreciation and tax treatment. If you buy at a low enough price (and at a low enough mortgage rate) you stand a greater chance of realizing positive monthly cash flow (the difference between rents and monthly expenses) and, ultimately, a nice capital gain (the difference between your purchase price and your sales price). I found that the best time to buy investment property is when the economy is doing poorly. During hard-times, sellers are more eager/desperate to unload their properties and are more receptive to low-ball offers. If you’re lucky enough, you may even find great deals on foreclosures and bank-owned/repossessed properties (REO’s). These properties typically sell at a huge discount, especially for all-cash offers. It is not unusual for some investors to make several hundreds of thousands of dollars over the span of a very few years, if they score a distressed property near the bottom of the market. Now, how do you know if the market is near bottom? In my opinion, it’s when you see a lot of ‘For Sale’ signs, foreclosure signs and tons of listings. Also, when some properties are listed at prices that are cheaper than they were over 10-years ago, or are priced lower than some luxury cars. In my opinion, that’s the time to jump in. It is not unusual during a recession to find some condo’s, townhomes and even single-family homes listed in the $50-$100K range, which is the price of some luxury vehicles. How can you go wrong? Basically, a sign of a good investment is when you find a property located in a healthy rental market that is cheap enough to comfortably cover ALL your expenses (mortgage payments, property taxes, insurance, repairs & maintenance, utilities and property management fees). This means you can withstand the adverse impact of vacancies, evictions, sudden repairs and other unexpected expenses. Many investors lose their shirts because the rents they collect do not cover their expenses. Basically, the carrying costs are too high and they need to walk away from their mortgages, thereby damaging their credit history and eroding their ability to obtain future loans. Also, try to avoid the herd mentality, which is to buy when everyone else is buying and sell when everyone is doing the same. I find that it’s best to take a contrarian approach, which requires some patience and discipline. However, the potential payoff is very rewarding. Real World Example: A few years ago a condominium in a desirable Northern California community was listed for $180K. For the longest time, there were no takers. Just a couple of years later, buyers were getting into bidding wars to buy the same condominium at more than twice the price. Yes, the economy got better, but it did not double. This is an example of the herd mentality, where people decide to buy or sell depending on public perception and the actions of others. Investors should not follow the herd, rather they should make their own informed decisions based on their own set of circumstance, goals and criteria. Remember, buy low and sell high (not the other way around). ALWAYS try to buy in the best location you can afford. While properties located in marginal or semi-rural areas seem to offer higher returns on investment (because they are very cheap), they usually come with a lot of issues, including high vacancy rates, lower rents, frequent evictions, more wear and tear on your property and even high crime rates. I personally believe it’s better to buy a single condominium or a duplex near a prime location, than to buy a 10-unit property in a marginal area. Renters (and buyers) tend to prefer areas near employment centers, transportation hubs, entertainment areas, good schools and proximity to urban areas. Therefore, you’ll be able to command higher rents and can sell relatively quickly if you need to do so. My experience with properties located in areas that are located farther away is that they are difficult to keep fully rented with quality tenants (you actually need to often offer rent discounts and other incentives to attract new renters). Also, properties located in more remote areas can take a VERY long time to sell. Real World Example: A single condominium near an urban center commands a monthly rent of $2,300 per month. Meanwhile, a 7-unit property located in a semi-rural city around 100 miles away commands the exact same monthly rent of $2,300 per month. However, the single condominium is worth around $450K, while the 7-plex is worth only around $300-$325K. This is an example of a price-premium for the better location (better schools, lower crime, greater accessibility to transportation, employment and entertainment). Professional property managers can save you a lot of time and headaches. Besides, property managers are more knowledgeable of housing laws and regulatory requirements. They also bear some of the liability if something goes wrong. However, there is a price to pay. Property managers charge a monthly fee and will sometimes charge you a percentage of the repair costs for larger projects. If you have the time, knowledge and stomach for it, there is an advantage to manage your own investments. Keep in mind that no one will manage your own money using the same amount of care and attention that you will. This is especially evident when it comes to repairs and maintenance. I find that many property managers will not shop around for the best bids from contractors and are sometimes too liberal spending your money. Also, professional property managers usually manage other rental properties, so they won’t always give your vacant property a priority when it comes to placing new tenants. Real World Example: An investor paid all-cash (i.e. no mortgage payments) for an investment property in another State. However, the property manager was mostly unsupervised. Repairs and vacancies seemed like a never-ending story. Sometimes it seemed like there was duplicate work being done. The investor, who didn’t have mortgage payments, was still struggling to pay for other recurring expenses such as HOA fees, management fees, property taxes and repairs & maintenance costs. The investor got burned-out and sold the property at a loss. Remember, no one will care for your money more than you. The purchase of an investment property is one of the most important financial decisions you will ever make. Therefore, make sure you carefully perform your Due Diligence. This means understanding the condition of your property and all related expenses. Don’t think that expenses are limited only to mortgage payments. You need to account for property taxes, insurance payments, repairs and maintenance, landscaping costs, advertising expenses and property management fees. These things add-up. Additionally, some locations have their own unique set of expense requirements, including flood insurance, earthquake insurance, seasonal snow removal costs, business licenses, HOA fees, vacancy costs, etc. Failure to properly account for all expenses can spell disaster for your investment. Real World Example: The same out-of-state investor above did not realize that property tax rates were twice the rate of the tax rate in his home-state. Further, he did not know that he also had to pay for expensive flood insurance, because the property was located in a flood zone. Remember, know your investment property. Real estate investing can be a very rewarding and wealth-creating endeavor. However, bad timing, the wrong location, poor management or inadequate due diligence, can turn the dream of wealth-creation into a nightmare of financial ruin. Therefore, real estate investors are strongly encouraged to think independently, carefully evaluate their objectives and make sure they understand their financial limitations. They are also advised to avoid the herd mentality and refrain from getting caught up in the buzz of buying or selling when the time isn’t right for them. Remember, given enough time, everything moves up and down.